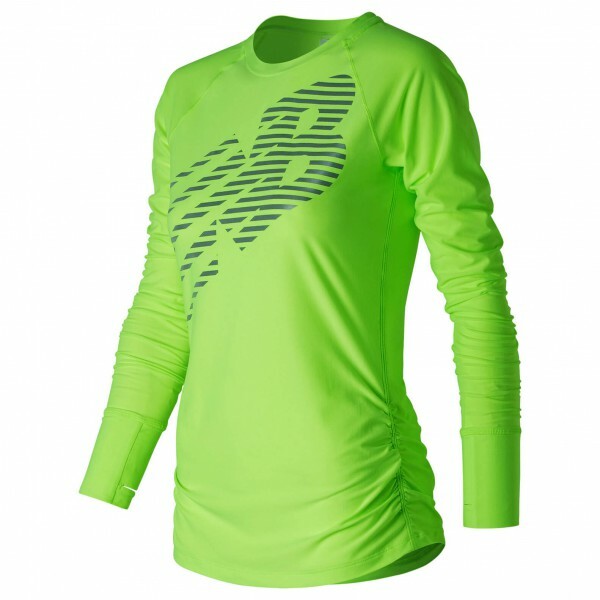 Darkness doesn't dare stop you in the Viz Long Sleeve. A large-scale reflective logo is printed across the front for added visibility in dim light. The soft heather knit body has reflective trims to help you stand out even more. Foldover cuffs and thumbholes lend extra comfort and convenience. I love the new long sleeve Viz, the design is amazing and really funky, there are reflective trims on the shirt together with Foldover cuffs and thumbholes love it. Great to run in.